Few charges are more serious than those that involve a violent offense. If you have been accused of a violent crime in Florida, your reputation, your livelihood and your freedom hangs in the balance. 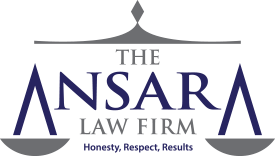 At The Ansara Law Firm, our Fort Lauderdale criminal defense lawyers recognize it’s not just the truth that sets people free: It is evidence or lack thereof. It’s being prepared. It’s having an experienced legal advocate on your side to adequately present your case. We also handle cases of alleged domestic violence, kidnapping, false imprisonment, aggravated battery and aggravated assault. Primarily, these crimes are charged as felonies, though in some cases, they are misdemeanors. Florida Statutes § 775.082 and §775.083 provide a widely varying degree of penalty for violent criminal offenses. Even the least serious felony charges can carry years in prison. In some situations, minimum mandatory laws – particularly Florida’s “10-20-Life” Law – require a baseline sentence of even more time. Some crimes carry penalties that stretch into decades behind bars. The most serious can result in the imposition of life in prison or even the death penalty. Upon release, a permanent criminal record can hinder future employment opportunities, housing availability, bank loans and personal relationships. In sentencing, many factors can come into play, including severity of the crime, criminal history of the defendant, whether a deadly weapon was involved, whether there is evidence of gang affiliation, where the offense occurred and the strength or weakness of the evidence. However, our goal as skilled criminal defense attorneys is to mount a successful challenge prior to conviction through suppression of key evidence against you, aggressive negotiation with prosecutors and skillful courtroom presentation. While lawmakers across the country continue to advocate for decriminalization or reduced sentencing when it comes to drug crimes and other low-level offenses, very few are pushing to ease penalties for violent crime convictions. In fact, law enforcement and prosecutors are often motivated by political pressure in these cases. Unfortunately, it is far too common for people to be charged and even prosecuted for violent crimes despite little solid evidence to support such serious allegations. Even for those facing a case with a fair amount of evidence should know: There are options. Prosecutors are notorious for strong-arming defendants into plea “bargains” that are disadvantageous. Our violent crime defense lawyers have developed effective strategies for suppressing damaging evidence – including witness statements, recorded videos, computer logs, defendant statements and in-vehicle or in-home evidence. Evidence that is suppressed cannot be used against you, meaning the state’s case is weakened and you are more likely to secure reduced charges, an advantageous plea bargain or an acquittal. Remember that while the burden of proof is on the prosecutor in these cases, defeating a misdemeanor or felony charge of violence often requires a defense show of force in the courtroom. For anyone accused of a violent crime in Fort Lauderdale, it’s imperative to hire a lawyer with proven success who is dedicated, knowledgeable, passionate and willing to fight to ensure your personal and due process rights are protected. A Fort Lauderdale criminal defense lawyer will be able to assist you in identifying defenses that may help to reduce your charges or, in some cases, result in a complete dismissal or acquittal. Every case will be unique, which is why having an experienced defense attorney is essential. Defense of Self – Deadly force and non-deadly force is allowable in order to protect yourself form attack by another person, so long as there is reasonable belief that the other person’s actions were likely to result in death or serious bodily harm. Defense of Others – Deadly force is allowable to protect a third party from harm if such force was reasonably necessary. Defense of Property – This is tougher to show, but deadly force is in some cases allowable to protect one’s occupied residence against an intruder, and force can be used if there is reasonable belief his or her property may be damaged. Lack of Intent – Usually, intent is a required element in violent crime cases. Without it, prosecutors may not have a strong case. Justification – Some actions that are normally criminal in nature are not under certain circumstances. These examples offer a general overview. There may be numerous other strategies that could prove effective in your case. Before you talk with police – or anyone else – about your violent crime arrest, secure representation by a legal team with experience. By retaining an attorney you trust, you can confidently stand up to the charges against you.